It’s Not Every Day Your Engagement Makes National News! A Book I Helped With Is Up For an Award! 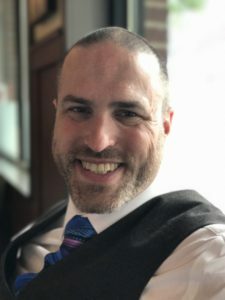 Jason Brick is a professional writer, martial artist, travel addict, and dad whose work has been published across multiple genres and formats. He has contributed over 3,000 articles and short stories to print magazines and online sites in topics ranging from home improvement, to health and wellness, to cocktail recipes, to small business management. Some of Jason’s top-level corporate clients include Black Belt and Thrillist magazines, American Express, Intuit, and Mint.com. Jason has ghost-written more than 20 books and ebooks for corporate and private events. All five volumes of his Random Encounters series were simultaneously in their category top 10 on Amazon in early 2016. He is also an accomplished speaker, and frequently travels to host workshops and deliver lectures at various writer’s conferences and festivals. When not writing, he studies jujitsu, capoeira, and kenpo karate, cooks, travels, and spoils his delightful wife and two fine sons. He lives in Oregon. Click here to see my most recent list of clients and appearances.